Tame your inner critic, say goodbye to that voice! I have something special for you today. 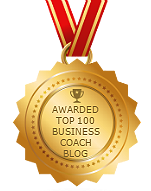 As the business owner, YOU are the most important element in your business. Being successful we need drive, ambition, determination and focus. Being that driving force, like a super-car, we need a tune-up every now and then, and today’s the day! I’d like to introduce to you a friend and colleague in the world of female empowerment. Drum roll please, for the fabulous, Jess Baker, a psychologist with training in positive psychology and mindfulness who has something wonderfully life-changing for you. Then you’ll love this from Jess Baker, her FREE 5 Day online challenge. I did the challenge a few months ago and it’s brilliant! I’m so happy Jess is running it again this week and I can share this with you today. Do you have an internal critical or nagging voice? Say you’re not good enough? Do you, like I did, berate yourself? Please, take this challenge instead. Because you’re worth it. 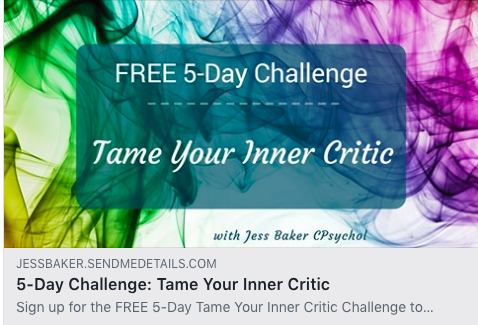 Sign up here to Tame Your Inner Critic. Having experienced a loud and aggressive Inner Critic all her life, Jess knows how it can get in your way and make you feel, as she says, a bit pants. Taking you step by step to becoming more self-assured and confident. On this journey of self-discovery, you get daily emails with access to training videos, lots of exercises, downloadable worksheets, guided meditations and buckets of support. Jess will do live check-in calls on Facebook every night to answer questions and encourage you. Sign Up Here and Tame Your Inner Critic. P.S. Here’s the link again to Tame Your Inner Critic.Say goodbye to that voice. Enjoy!